Riso Scotti is a leading Italian Company in the production, collection, processing and commercial management of Rice since 1860. Riso Scotti offers to its customers a carefully selected rice obtained thanks to a precise working process always respecting high quality, UNI EN ISO 9001:2008, IFS, BRC, Kosher and Bio Certified standards. 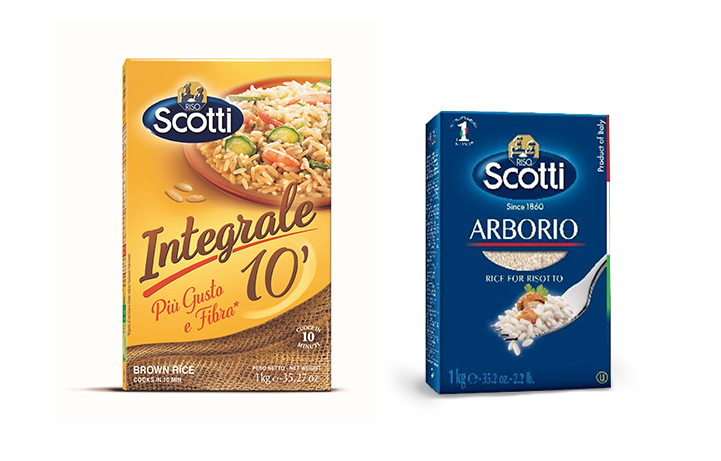 Riso Scotti acts as company-partner to the consumer, proposing a new alimentation, good for enhancing the health-conscious principles, and functional benefits of rice, without renouncing to taste: a diet that comes from rice and meets the needs of those who want to eat for pleasure but also to stay healthy. Nowadays Riso Scotti distributes its products in over 60 countries worldwide, including 23 non-European countries, relying on strong partnerships with talented local operators. Londou Trading became the exclusive distributor of Riso Scotti in 2014 and since then imports and distributes Riso Scotti’s products with great success in the Cyprus Market.